Information for kids K-6 about Asiatic black bears as well asfacts about bears generally. Asiatic black bears have black fur. They have a white moon shape on their chest. The fur is thick around their neck. They eat plants and meat. They have sharp claws to help them climb trees. Bears are found in many habitats in different countries. Bears all have a large body with strong legs and a short tail. They have a snout rather like a dog's snout. Their paws have five claws that do not pull back like a cat's claws do. Bears generally live alone, except when a mother is raising cubs. There are eight different kinds of bear. Depending on where they live, Asiatic black bears are also known as Tibetan black bears, Himalayan bears, Formosan bears, Japanese bears, or moon bears. 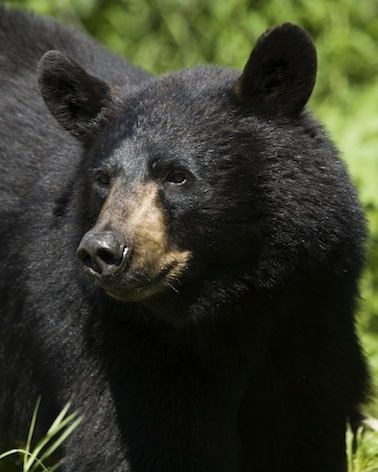 They are closely related to the American black bear. What do Asiatic black bears look like? They are medium size bears. They have black fur with a patch of creamy white fur on their chest. The patch is shaped like a crescent moon. They have a ruff like a mane around their neck. The fur on the muzzle is brown and on the chin it is white. They have bigger ears than other kinds of bear, set far apart. They have strong front legs and sharp claws to help them climb trees. What is their habitat and distribution? These bears are found across the southern parts of Asia, in Pakistan, northern India, parts of China, Taiwan, Japan, Korea, Afghanistan, Nepal, Bhutan and Vietnam. They are also found in Siberia. Asiatic black bears generally live in mountain forests, and also nearby areas that are bushy. They are also found in lowland areas. In most places Asiatic black bears are nocturnal, which means they are awake at night and asleep most of the day. In a few places they are diurnal, or awake in the day and asleep at night. They sleep in caves or trees. Mostly the bears hibernate in a den or hollow tree through winter. Hibernation is a kind of sleep that saves energy when food is hard to find. 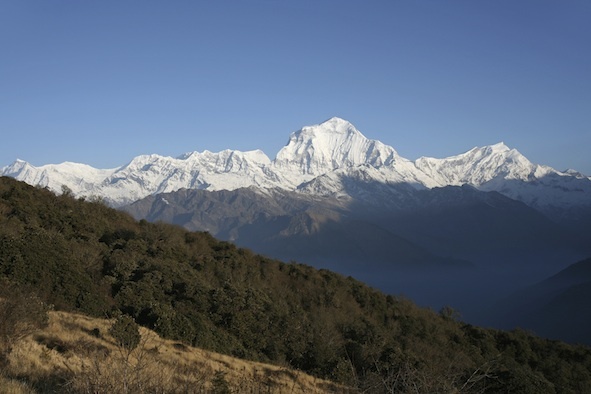 In some places, bears spend summers in high mountains, and in winter move to lower areas. When food is scarce in winter, they sometimes go into farms to feed. In many places in Asia, these bears are more likely to meet humans than other kinds of bear. They sometimes attack and hurt people. What do Asiatic black bears eat? Asiatic black bears are omnivorous (say: om-niv-uh-russ), which means they eat both plants and meat. They eat fruit, grasses, honey, small birds and animals, band fish. If they find carrion, which is a bird or animal that is dead, they eat that. In autumn, the bears spend a lot of time eating nuts and berries. Once winter comes, there is little food to be found till spring, so the bears need to get fat to last through the winter. Female Asian black bears give birth about eight months after mating with a male bear. Not a lot is known about Asiatic black bears. The mother makes a den where she lives with the cubs, keeping them safe and warm. The cubs stay with their mother for about 2 years before going off on their own. It is thought that in the wild, Asiatic black bears live for about 25-30 years. 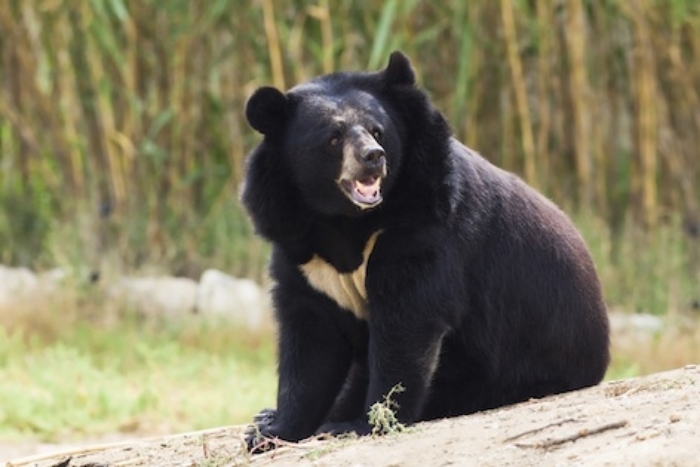 Asiatic black bears are listed as Vulnerable, except for the kind that is found in the country of Baluchistan, where they are listed as Critically Endangered. Many bears are caught and cruelly kept in very tiny cages so their gall bladders can be drained of bile over and over again. The gall bladder is a part of the body that makes a liquid called bile. The bile of the Asiatic black bear is highly prized as an ancient traditional medicine. Another threat to the bears is the destruction of their habitat as forests are cut down. The bears are killed by farmers because they eat crops and kill small livestock. They are also killed because they strip bark off trees grown for timber and reduce its value. Watch a video of an Asiatic Black Bear in its beautiful habitat.